Gold traded at a month-and-a-half low on Tuesday and its 50, 100, and 200-day moving averages were all either touched and/or demolished amid a fresh bout of heavy selling by speculators of the institutional ilk. More on that phenomenon, later. After touching a low near $1,662 the yellow metal closed in New York at the $1,674 spot bid level, down about $32 per ounce. In news from the world of gold fundamentals (still largely ignored), we reported the other day that Aussie output was flat year-on-year. Overnight, we learned from the USGS that US gold production rose by 4% in 2011 and that it climbed by 10% in the final month of the year. Standard Bank analysts did note a bit of physical demand in the wake of the rout but they still believe that the $1,650 support area remain in the cards as a possible test for gold before this is over. This morning’s opening bids showed a small recovery trying to get underway but gold only added $3.40 to start off the day at $1,678 while silver once again briefly turned negative and fell to $32.92 the ounce. Platinum rose by $10 and palladium gained $7. The early quotes were $1,621 and $672 respectively. Recent analyses allude to a possible complete label change from "bull" to "bear" for the market in the event the $1,550 support level falls. The other end of the price spectrum — the one where bullishness might once again be justifiable is at the $1,800 mark and it would have to be taken out with conviction if the sentiment is to undergo such a shift. Of course, when and at what price one perceives value is a subjective matter. Some retail gold investors do not pull the "purchase trigger" until the markets confirm that the ‘train’ has left the station. What could be better than going with a proven "winner?" Others are inclined to buy, and do so heavily, only when desperation and/or capitulation are on display. In any case the recent debacles in the actual business of buying/selling physical precious metals have prompted Uncle Sam (as in: the US Federal Trade Commission) to issue new consumer guidelines on how (and how not) to buy gold (this short primer is a read well-worth your time in the event certain prices become too tempting to resist). Speaking of when people buy or sell, and who they might actually be, we have come across some fascinating precious metals trade statistics courtesy of frequent Forbes contributor Nigam Arora. Being a nuclear physicist (among other things), it is little wonder that Mr. Arora takes an interest in numbers. In his latest Arora Report, he relays that, as we have pointed out here numerous times, the sky has a tendency to… remain in place in lieu of crashing down upon us and suddenly enriching us by virtue of what such an event is thought (hoped?) to do to gold prices. More interestingly, Mr. Arora’s algorithms show that humans will be… humans (some forums call them "sheeple") and that trend-chasing and mis-timing are not only as alive and well as they were back in 1980, but that they do harm to small retail investors whilst enriching the savvy, professional ones. To wit: "in gold’s run from $1,450 to $1,910, [last September] 70% of the buying was by retail investors. Only 7% of the buying was from institutions. In the subsequent run from $1,600 to $1,760, 85% of the buying was by momentum chasing retail investors, but the ‘smart money’ was a net seller. In the latest run up, 92% of the buying between $1,500 and $1,790 is from mom and pop. Institutions are again net sellers." For example, yesterday, gold took out last week’s low of $1,688 with relative ease and apparently ignored the ominous words of one Mr. Netanyahu (who warned that Israel must be the "master of its fate") once the institutional selling of gold on the floor intensified (on the back of lackluster growth or worse in the global economy). Meanwhile, practically at the same time, Dr. "Doom" Faber was urging his faithful followers to buy gold (and stocks too!) precisely because of the issues in the Middle East over Iran. It is a sure bet that small retail investors took those words seriously and loaded up on metals just as trading desks began being flooded with sell orders from hedge funds and such. The Doctor of Doom, for one, envisions the region "up in flames" sometime soon. Precisely how such an event would send precious metals into "orbit" (for more than a few hours, if at all) remains unclear, but the good Doctor figures that a conflagration in the Middle East would automatically prompt Mr. Bernanke (himself!) to turn up the RPMs on American printing presses and thereby deal the buck a fatal blow. That, by a long-shot, remains a prognostication firmly entrenched in the realm of… theory. Hedge funds do not act based on theory. When their sophisticated computer programs flash "sell" it does not much matter who is about to blow someone up or where; it is time to bail. Period. At any rate, last night, one market strategist was quoted as saying that "We’ve done a lot of chart damage these last two days, especially today. Yesterday and in prior sessions, we were bouncing off of the 100-day moving average, which is in the $1,700 area. Today, we plowed through the 100-day, 50-day and 200-day [moving averages]." Silver fell out of bed once again and lost more than $1 on the session, to settle at $32.95 the ounce on the bid-side after having touched lows under the $32.50 level. The noble metals complex got hit quite hard as well on Tuesday, with platinum falling $50 to $1,611 and with palladium leading the losses in the precious metals niche with a 5.5% drop to $665.00 per ounce. PGMs fell right in line with the broader markets and the euro, although their losses were particularly pronounced following the news of a restart of production at Impala Platinum. That news, combined with the downbeat Sino-European economic jitters proved quite damaging to prices. Carmakers are apparently bracing for a more pronounced decline in European auto deliveries with some of them forecasting a potential 5% fall-off in sales this year; the fifth such annual contraction in a row. This is just one of the effects of the European financial crisis in action but some local auto executives are optimistic that a turn-around might come as early as the end of this quarter. The recent string of signs that the global economy — with the possible exception of the US and a few other isolated instance — is slowing finally caught up with the markets on Tuesday. Commodities experienced their largest decline of the year-to-date after the realization that China and Europe are both experiencing economic difficulties and will thereby demand less "stuff" sank into the minds (and the computer sell-programs) of the speculative crowd. Just one week prior to the sell-off the same space was as crowded as a Tokyo subway with bullish bettors — the highest number of them since September of 2011. Commodity analyst Edward Meir noted that the"impetus, the momentum, is [now] damaged for commodities" and he expects them to decline 10% from their recent highs by April. To say that sentiment has shifted 180 degree in one week is to state the obvious. Let us however also not forget that a good portion of what was on display on Tuesday is still a result of the disillusionment being felt by "QE junkies" who are experiencing withdrawal symptoms in the wake of Mr. Bernanke’s refusal to give them a ‘fix’ one week ago today. If Dallas Fed President Fisher’s suggestions made on Monday become a reality, well, these addicts might just experience the DTs (or worse) and do so soon. At any rate, some "pain" is possibly in the cards for certain wrong-way bettors and doomsday newsletter scribes. Mr. Fisher said that he would suggest that, "if the [US economic] data continue to improve, however gradually, the markets should begin preparing themselves for the good Dr. Fed to wean them from their dependency rather than administer further dosage. Financial markets "have become hooked on the monetary morphine we provided" after the 2008 financial crisis." Morphine, happy powder, call it what you will, the effects if virtually free money are manifest everywhere in the current price of certain assets. Any wonder the "QE-hooked druggies" are shuddering at the mere thought of such a change coming? We have covered the issue of China’s growth-related woes extensively in our Monday commentary so we will not dwell on it here. The reverberations of Premier Wen’s revised economic growth forecast for his country are still with us; Chinese stock markets sank by the most in one month as fears that a hard landing might be the most likely outcome and that years of excess and ill-managed growth will catch up with the economy. Chinese housing price still need to, or could, decline by up to 30% or even 50% in order to reach what might be judged as a reasonable valuation level. Europe’s economy is on a contractive path as well however, as shown by yesterday’s not-so-rosy metrics. The region’s economy shrank 0.3% in the final quarter of 2011 and now the Old World is facing its second recession in less than 36 months. The recently implemented austerity measure in various EU member nations has only raised the odds that such patterns will continue and/or deepen in the coming couple of quarters. Italy might "lead" the pack of decliners with an anticipated 1.3% contraction in its economy while German economic expansion might only make progress at the 0.6% p.a. pace. As well, the threat of a disorderly default by Greece has not yet fully dissipated. The Institute of International Finance (IIF) raised the specter that the eurozone might be hit with one trillion euros’ worth of damage in such an event and that Italy and Spain would have to be rescued shortly thereafter. Whether or not the default debacle takes place depends in large part on the degree of success that Greece will have in negotiating a voluntary debt swap with certain counter-parties. For the time being, that deal is slated to be headline material for tomorrow. Chances are that it will come to fruition, but that does not imply that Greece’s (or the EU’s) troubles are over. The scenario described above also sent risk-taking speculators into the perceived safety of the US dollar on Tuesday. By now, we all know what that kind of quest for a refuge brings about. In this case, it was a three-week high for the greenback; it traded at above 79.80 on the trade-weighted index, and Treasuries also hit a three-week high. Meanwhile, the euro came awfully close to breaking under the $1.31 mark. Equities suffered in the US as well; the Dow fell 203.66 points — its largest drop in three months, i.e. the worst one this year — as investors turned gloomy yesterday. This morning’s US ADP private payroll data and ameliorating US productivity figures did improve risk-taking sentiment, but by just a tad. Or, who knows, maybe the Street was just happy about the upcoming Apple news conference. Now we’ll be able to see our portfolio losses in… high definition as we drive off the embankment, totally distracted. 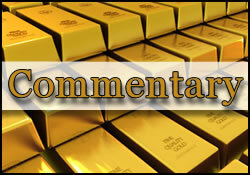 Right on cue, jumping in to comment whenever gold dips, rarely if ever posting when gold gains significantly. I’m a nobody, but those in the know have your number. How this site or Kitco allows you to spew anti-gold propoganda is beyond me. WOW, what is your PROBLEM? This is a free speech internet. Everybody’s entitled to their opinion. If you don’t like it don’t read it. Look at the numbers, trends, economy, world politics, etc. and post your own opinion. And if you don’t like what somebody says – GET OVER IT. If “Everybody’s entitled to their opinion” then they both are entitled to post.